The acclaimed Galaga inspired action shooter from Jason Aldred is now available in full glory! 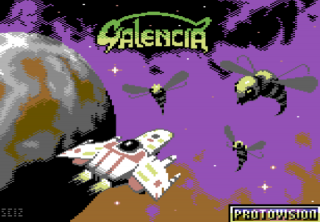 Galencia is PAL and NTSC compatible. This Product was added to our catalogue on 13/11/2017.